In the interest of keeping you posted, I wanted to let you know that this will be the last installment of What's In Store - at least for now, as I'm leaving the Observer to go to law school in Chicago. My last day is Wednesday, so if you have any questions, comments or concerns before then, do let me know. I have so appreciated your readership, interest and feedback, and I will miss writing posts and stories and hearing your thoughts about them. It's also been great to meet and hear from so many merchants working hard to make a go of it in a tough economy. I am not sure how the powers that be here plan to fill my job going forward, so I can't immediately direct you to a successor, but our hope is that someone else will pick up the reins soon. If you have feedback or news about local retail in the meantime, please contact our business editor, Patrick Scott (pscott@charlotteobserver.com). On a brief personal note, this decision did not come easy: It was agonizing and wrenching, and I'm still not sure I'm doing the right thing. I've loved journalism my entire life and still deeply believe in it. I'm thankful for my nearly six fascinating years here, and it's difficult to contemplate doing anything else. But sometimes, a person needs a change, and so it's with that in mind that I'm heading off for a new challenge - one that I hope will continue to allow me to write and work for good in the world. Only time will tell whether I've made the right choice, and I'm interested in finding out what awaits (aside from a mountain of student loan debt, which, alas, is a given). Anyway, thank you again. We appreciate your readership, and I hope you'll continue to support my smart, dedicated, caring colleagues as they do their utmost to cover this community. We couldn't do it without you. A new antique store opening soon uptown comes with plenty of history - both in its merchandise, and in the business itself. Arnie Miller and his wife, Lynda, opened for business in Pennsylvania in 1968, and have since operated in New Jersey, London and most recently, Cape Town, South Africa, for 10 years. 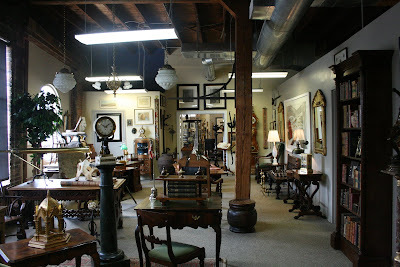 Now, they're making the shift to Charlotte, offering one-of-a-kind pieces from 1690 to 1950 for sale and rent. Miller-Topia Designers opens Aug. 17 at 601 S. Cedar St. in Charlotte, near Bank of America Stadium and next to Hartigan's Pub, in 5,000 square feet in a renovated brick mill. The store, Arnie Miller says, "specializes in the unusual," which quickly becomes apparent - a Namibian-made chair covered in wildebeest skin sits in a window, not far from a rocking goat (yes, not a horse) from a castle in Scotland. The Millers also stock more traditional pieces, too, though, such as an oak draw-leaf table from about 1830, and an original bronze Tiffany floor lamp, with graceful curves. Items are primarily European and American, with many purchased through fine estates. Also on the floor are clocks, bronzes, paintings, lamps, books and engravings, including two clocks from the Ritz in Paris. In its previous incarnations, Miller-Topia regularly rented antiques for use as props and set decor on theater and movie sets and for photo shoots - including in the movies "I.Q. ", shot in New Jersey, and "Invictus," filmed in South Africa. Though there isn't as much of a film industry in Charlotte, Arnie Miller acknowledges, people here still like antiques. And as in the past, the store is not just selling items, but renting them as well, to the public and professionals alike. When they were living in South Africa, the Millers visited Charlotte, liked its warmth and energy - "Charlotte is up and coming," Arnie Miller said - and decided to move here, rather than back to the Northeast. They began planning their move in early 2009, not exactly a high point for the region's economy. But, says Miller, "The pendulum swings. 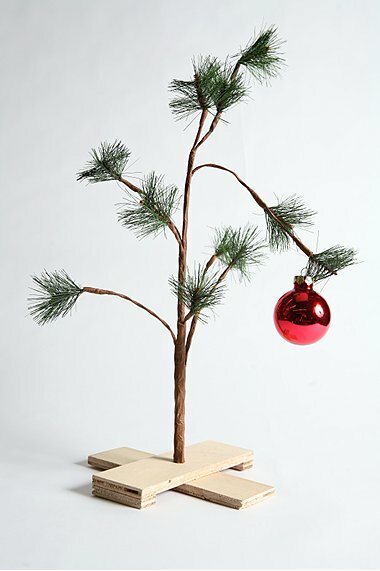 Sooner or later the economy will come back, and people love to decorate with the kinds of things we sell." And, he says, though the store is still in the midst of pricing its goods, the aim is indeed to sell: "We're not running a museum." Miller liked the store's location near the Cedar Design Center, home to other art- and architecture-related businesses. Inside, it's arrayed for easy, relaxed meandering, with a mix of large and small items - and at least one little prompt to help sway shoppers: "The best time to buy an antique," reads a small sign standing on a table, "is when you see it." No-frills grocer Aldi, which has been rolling out additional locations across the region, is planning a grand opening for its new location in Indian Land, S.C. next week, starting at 9 a.m. on Aug. 12. The roughly 16,000-square-foot store will stock about 1,400 products, 95 percent of which are private label, and does not accept credit cards. Cash, debit and EBT are accepted. The store is at 9553 Charlotte Highway (U.S. 521), south of Ballantyne and near the intersection with S.C. 160. It's been incredibly interesting talking to people about their memories of the mall and their feelings about its slide, and it's reminded me of the role that retail spaces can play in shaping our lives - how they help provide a sense of place, take us back to moments in time and offer not just four walls in which to make some kind of transaction, but serve as a workplace, a social space and a mirror of a community. Are all shopping centers designed and intended to be this way? Certainly not, as evidenced by plenty of disposable architecture littering the landscape. But Eastland wasn't some tossed-off, hastily constructed insta-plaza. As historian Tom Hanchett said when I talked with him about the mall last week: “The mall was thought out in a way that made it a special place, and made it a coming-together place." I think that's part of why people remember it so fondly and have taken its decline so personally: It was designed as a destination, with entertainment options, spots to sit and relax, waterfalls and skylights and 30-foot ficus trees growing inside. Opening when it did, in the mid-1970s, when malls were ascendant in teen culture and broader society, it became sort of the de facto downtown of a suburban area that otherwise lacked a more traditionally-defined center. And indeed, it struck me that people looked back at Eastland's heyday the same way that someone raised a couple decades earlier might feel upon returning to a small-town downtown that bustled in the 1950s, but has since seen its businesses - drug stores, banks, bakeries, shoe stores, restaurants - depart for newer environs at the edge of town. It's not just that the landscape has changed physically, but what that shift evokes on an emotional level. Or, as David Wayne Evans, the mall's onetime promotions coordinator, said when I interviewed him about how he felt when he last visited Eastland, about four years ago: "I just turned 47, and when you see stuff from your life start to disappear, it's kind of a telling moment how life just changes." At Eastland, people met their spouses, went on first dates, saw "Star Wars" for the first time, took their first, tentative steps onto an ice rink, got their first jobs, registered for their weddings, bought their first business suits - all life milestones that mean something. "It was a very magical place to go," Donna Ashcraft Pressley, Eastland's longtime marketing director, recalled last week. And no matter how the end came, that's worth remembering. ***The photos with this post are courtesy of Pat Richardson of Charlotte, who generously sent a selection of old Eastland pictures my way. He was 8 and lived two miles from Eastland when it opened, and remembered the excitement of visiting on opening weekend in 1975. "It was so new, exciting and different," he said. "SouthPark was only one level and didn't have a food court. For a teenager, Eastland was a dream come true." Even his cousins who lived near SouthPark would cross town to visit the newer, hipper mall. Richardson fondly recalls Farrell's ice cream parlor, shopping at the Hub men's store and Spencer Gifts, taking the "up" escalator at the edge of the ice rink, watching his sister when she first got her ears pierced at Eastland and visiting the Record Bar. He also can't forget the distinctive interior design and bizarre seating at Gourmet Gardens, the food court: "It was like you were sitting on boulders." (Oh, the '70s.) Richardson also has a broader interest in Charlotte's dining, advertising and shopping history, and displays some of the very cool artifacts he's unearthed on his two blogs, Charlotte Ads and Charlotte Eats, which are well worth checking out when you have the time. The "Tajmah Teeter" at Morrocroft Village has a, um, spirited new neighbor: Call it the TajhmABC Store. The Mecklenburg County Alcoholic Beverage Control Board last week opened a new location in the 5,312-square-foot former Ruby Tuesday space in the upmarket shopping center, on Sharon Road between Morrison Boulevard and Colony Road, across from SouthPark mall. The shop carries about 1,025 distilled spirit products, according to the ABC Board. However, Morrocroft's addition will subtract two other ABC stores from the countywide roster: The locations at 1017 Wendover Road and 6625 Carmel Road are set to shut down as a result of the new store opening. ABC spokeswoman Mary Ward said that those locations are listed for sale and do not have a firm closing date at this time. When it comes to fast food customer service, Papa's at the top - Papa John's, that is, according to the American Customer Satisfaction Index. The Louisville, Ky.-based pizza purveyor topped the annual rankings, founded at the University of Michigan, based on customer evaluations of quality of products and services. Most large fast-food chains saw their scores improve, buoyed by frequent price promotions and new menu items, the ACSI said. Pizza places have been perhaps the most visible on that front, offering pizzas for $10 and less and in other combination deals. That paid off in the rankings: Papa John's led the limited-service restaurant category with a score of 80 out of 100, up from 75 last year, while Pizza Hut and Little Caesars were close behind at 78. Domino's held steady at 77, despite the highly publicized rollout of their new pizza recipe. KFC and Burger King also saw their scores rise. In fact, McDonald's was the only restaurant in the category to drop, to a score of 67, compared to 70 last year. That put it last in the category. I was initially all set to jump to McDonald's defense, because I think they're good at what they do - offering consistent and by no means terrible food at an inexpensive price. And they've recently introduced more products to broaden their menu, with more snack items and coffee drinks. However, that's sort of the big picture - and people's views are shaped by their personal experiences with the Golden Arches (or any other retailer). For instance, I went to a local-McDonald's-that-shall-remain-nameless last night and the following occurred: It took several minutes of standing at the cash register just to be waited on or acknowledged, even though there was no one else in line and plenty of staffers walking around in full view. The worker that did end up taking my order sneezed into her arm in the middle of making it, so she had to hand it off to another employee, who accidentally dropped the order on the ground as she was about to serve it to me, and had to make a new one. They ended up being very pleasant about it, but the whole thing was positively sitcom-esque - and suggests that maybe the survey respondents are onto something. You can find the full list, with historical data, here. The latest entrant into the region's growing frozen yogurt wave, Yoforia, is marking the opening of its Myers Park shop by giving away free yogurt there all day today, until 10 p.m. The store is at Selwyn Corners, the same little plaza that houses Nolen Kitchen, at 2823 Selwyn Ave., Charlotte. A coupon for the special, good for up to 12 oz. 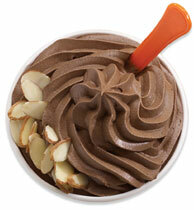 of yogurt and toppings, can be found on Yoforia's Facebook page. 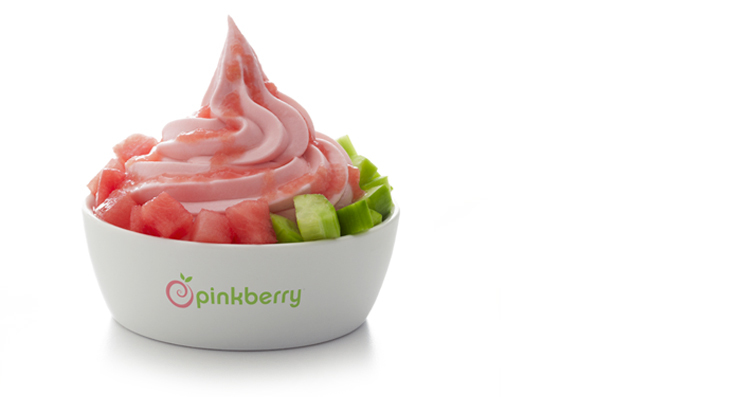 The Atlanta-based chain has also recently opened locations at SouthPark mall and the Shops at Piper Glen, and joins Tasty Yo in NoDa and a new-style TCBY at Colony Place in south Charlotte in offering the increasingly popular tart fro-yo with fresh fruit and candy toppings - though some of the shops also serve sweet flavors, too. The chain that started the craze, Los Angeles-based Pinkberry, is also headed to town: It's slated to open in mid-July at Phillips Place, as my esteemed colleague Helen Schwab reported last month. In the spirit of full disclosure and thorough investigation, I should also point out that a colleague and I ventured over to the store to check out the scene - and, ok, yes, sample the eats - earlier today, creating our own tasty treats from among 12 flavors of yogurt and an extensive self-serve topping bar. A tip based on that experience, however: Be sure to leave enough room for toppings, or else you'll find your cup overflowing, and with a less-than-ideal topping-to-yogurt ratio! Cotswold Village Shops is gaining a new restaurant – and welcoming back a familiar one. Charley’s, which closed in March after a long run at the Charlotte shopping center, is slated to reopen within the next couple of weeks under new ownership, serving lunch and dinner. It will have updated décor, but a similar menu that uses many of the same recipes that the previous incarnation offered, owner Jolene Frank said. She also plans to add a few more steaks and pastas, and an expanded bar. Elsewhere in the plaza, IHOP plans to open in the former Blockbuster space in the next three or four months, featuring, yes, pancakes, among plenty of other items, said Jay Couch, senior vice president for commercial properties with the center’s owner, Greensboro-based Bell Partners. That leaves the 35,698-square-foot former Stein Mart space as the center’s only vacancy, Couch said. Bell Partners is currently negotiating with a national retailer for the space, and anticipates an announcement at the end of September. The shopping center, at the corner of Sharon Amity and Randolph roads, has 273,841 square feet of space. Women's clothing boutique Ivy & Leo, which opened in March 2009 at Founders Hall in downtown Charlotte, this weekend debuted a second location at Specialty Shops on the Park, on Morrison Boulevard across from SouthPark mall. Despite opening in the depths of the recession, the store has thrived downtown, selling "fun, trendy clothes at an affordable price," says owner Stephanie Strause, who named the store after her two rescue dogs. She opened there because she had seen plenty of traffic in Founders Hall and figured the concept could attract interest, and that proved true, she said. However, that location is not open on weekends, and she wanted to be able to serve customers on Saturday and Sunday, with easy in-and-out access. Both shops sell dresses, tops, shoes, handbags and accessories, with dresses in the $50 to $100 range, for example. Ivy & Leo is the trendier sister store of Julie's, a longtime Charlotte-area women's shop now in its third generation of family ownership, with six Carolinas locations. Strause's husband, Aron, runs Julie's with his father, Leonard; Aron Strause's grandfather, Julius Strause, founded the business. Aron and Stephanie Strause go on buying trips together, each searching for items for their respective stores, and the businesses also share a warehouse, Stephanie Strause said. Upmarket natural and organic grocery chain Whole Foods is celebrating its 30th anniversary this year. But one way it won't be marking the occasion: By building a store in Charlotte. At least, not yet. With tons of gourmet and prepared offerings, as well as extensive meat, produce and seafood sections, Whole Foods remains one of the area's most sought-after - and so far, elusive - retailers. The company's stores elsewhere are veritable palaces of food, and it has long had a presence in other parts of the Carolinas, with locations in the Raleigh-Durham-Chapel Hill area, Winston-Salem, Greenville, S.C. and Charleston, S.C. It also recently bought an established natural grocer in Asheville, and a new Raleigh location is also in the works, according to Whole Foods' website. The company announced plans to open its first area store more than five years ago, but a proposed location in Elizabeth fell through, and another proposed location at Sharon and Colony roads in the SouthPark area is also off the drawing board and was removed from Whole Foods' list of stores in development. The economy has played a role in the lag, as the company - like many others - has pulled back on new store openings across the board. Whole Foods has also encountered difficulty finding the right location in Charlotte, said spokeswoman Darrah Horgan, who has been kindly fielding my "When are you coming to Charlotte?" queries for several years now. "Charlotte has certainly been a challenge for us, as far as real estate is concerned," she said in an e-mail. "We are still pursuing stores there, but nothing has solidified." In fact, she noted, Whole Foods hasn't opened any new stores in the South since November 2007, though there are three on the horizon for 2011 - the aforementioned Raleigh store, and locations in suburban Atlanta and Nashville. Still, Horgan said, Charlotte remains on the radar screen: "We're still looking, and still excited and interested in bringing a Whole Foods Market to Charlotte!" So, where could it go? I'd be interested in hearing your thoughts. Major renovations continue to ripple across area Walmarts, with the latest overhaul set to be unveiled tomorrow (Friday) at the Mountain Island location, at N.C. 16 and Mount Holly-Huntersville Road in Charlotte. The store will mark the completion of the three-month project with a ceremony at 10 a.m., plus free samples and demos from vendors. As with other remodeled Walmarts, the Mountain Island store will sport the retailing giant's latest look, with a new layout, wider aisles, brighter colors, new signage and lower-profile shelving for improved sightlines. The electronics department has more than doubled in size, reflecting the company's increased push to gain market share in that area, and will offer a more hands-on experience, with interactive Blu-Ray, video game and portable electronics displays. The store will also house an improved digital photo lab with banner and poster printing capabilities, as well as a new department called Celebration Station, featuring party supplies. The pharmacy will have a completely new format, the company said. The outside has also been spruced up, with a new paint scheme and signage, a restriped parking lot and an expanded garden center. The store employs about 400, including about 45 positions added as a result of the renovations. The West Gastonia Walmart also recently wrapped up a revamp, and work is under way at the East Franklin Boulevard location in Gastonia, which is on track for a July completion. Commuters on River Highway (N.C. 150) near Lake Norman in Mooresville may find a new aroma commingling with exhaust fumes: The smell of grilled steak, coming from a billboard designed to entice shoppers by appealing to a sense other than sight. The Bloom grocery store chain, part of Food Lion, erected the giant sign at 1220 River Highway, between a Shell gas station and a storage facility, to promote its new brand of beef. It'll disperse the scent during rush hour, from 7 to 10 a.m. and from 4 to 7 p.m., every day until June 18, and is visible to drivers heading west, toward Catawba County. It pairs the smell with a big visual, showing a giant piece of steak and a French fry on a giant fork, and is one of the first of its kind in the country. Bloom worked on the campaign with Charlotte advertising agency Birdsong Gregory and Charlotte-based ScentAir, a leading scent marketing and branding company. ScentAir normally focuses on applying scents to indoor environments, so the outdoor space proved a bigger challenge, the company said. Though plenty of businesses are using scents to create ambiance and enhance their selling atmosphere, schnoz-targeted ads in public places are fairly rare. The most prominent example crumbled after one day in 2006, amid concern that the smell could provoke allergic reactions and otherwise irritate passers-by. In that case, the California Milk Processing board placed chocolate chip cookie-scented strips in selected San Francisco bus shelters. For its part, Bloom said it hadn't received any complaints and that its steak scent is safe. The first Tory Burch boutique in the Carolinas is slated to open in July in the Neiman Marcus wing at SouthPark mall. The New York-based designer's eponymous line features classic American sportswear with a '60s-style bohemian twist, with signature items such as ballet flats and tunics. Her boutiques have a distinctive visual identity, with orange lacquer doors, mirrored walls and Lucite fixtures; the SouthPark store will occupy 2,149 square feet that last housed Billy Reid. Burch, below, is a Philadelphia-area native who launched her line in 2004. Her clothes, shoes, jewelry, handbags and accessories can be spotted regularly in fashion magazines, on celebrities (and, therefore, in the pages of magazines like US Weekly) and (mais bien sur!) on the CW's "Gossip Girl." Indeed, Burch herself appeared on the soap in its just-concluded third season. Office Depot plans to mark the grand opening of its new Huntersville store at 9 a.m. tomorrow (Tuesday, May 25). The store is located at 9530 Birkdale Crossing Drive, at Sam Furr Road, across from Birkdale Village. Area officials will be on hand for a ribbon-cutting ceremony and nonprofit donations. Then, the doors will open; the store has 21,000 square feet of selling space and is decorated with colorful signage, carpeted floors for a warmer feel and a floor plan designed to be intuitive and convenient, according to a news release. After 17 years near the corner of Independence Boulevard and Sam Newell Road, Consignment 1st is moving to a new, more spacious location two miles south, on the same side of Independence, just past Interstate 485. The eclectic consignment furnishings store will hold its grand reopening at 9 a.m. Saturday, at 11416 E. Independence Blvd., in the fairly recently remodeled Matthews Plaza, also home to Ashley Furniture, Tuesday Morning and Elevation Church. The first 100 customers receive a free tote bag, while the second 100 will get a free hot dog from South 21 restaurant. In addition, former Charlotte Hornets star Muggsy Bogues will be signing autographs from noon to 2 p.m. Husband and wife Dave and Debbie Hayes founded the business in 1987, at the corner of Kilborne Drive and Central Avenue in Charlotte, and later consolidated into a building on Independence Pointe Parkway. Consignment 1st outgrew that space about five years ago, Dave Hayes said, but spent the intervening time concentrating instead of opening new stores. There are now nine other Consignment 1st stores, including four locally - in Pineville, Lake Norman, University City and Gastonia. However, the Matthews building is for sale, and they wanted to be proactive and avoid uncertainty - hence the new location. It has about 6,000 square feet of additional retail space and much greater visibility, and will enable the store to stay open longer, too, until 8 p.m. instead of 6 p.m. The new building will also house company headquarters and a corporate training center, and has a consignment intake area double the size of that in the previous space, with an additional loading dock. The store sells upscale furniture, accessories, antiques and collectibles, with items at all price ranges, from "practical to palatial" in a fun atmosphere, Hayes said. And it's been faring better than most others in the downturn - as have other thrift and resale stores, with consumers looking for affordable alternatives. The economy, Hayes said, has brought new customers into the store. Though his store has seen a slowdown, Hayes said, he and his wife see trends moving in an encouraging direction now. "It's not like an explosion, but we think we've pretty much figured out what the new normal is. We're ok with it. It just took a while to get used to it." The one and only N.C. location of the Philly Pretzel Factory, in Mooresville, will be giving away its newest product from 11 a.m. to 2 p.m. Monday - a cheesesteak pretzel. The pocket sandwich (alas, not pictured at left) combines two iconic foodstuffs from the City of Brotherly Love, with thinly sliced steak and American cheese wrapped in a warm soft pretzel. The Mooresville store, at Mooresville Crossing (the Best Buy plaza) on South River Highway (N.C. 150), opened in March 2007 and sells an array of authentic pretzels, baked and hand-twisted fresh daily, starting with flour. It's part of a 130-store chain that has most of its locations clustered in the Philadelphia area. Heck, who grew up enjoying soft pretzels, co-owns the business with his wife, his brother and sister, and their spouses. He's lived in Charlotte since 1992 and has also worked in the construction equipment finance business. In addition to selling pretzels at the store, he also visits schools and businesses to promote them as a fundraising vehicle or snack to sell at sporting events, to give just a couple examples. "Every day in my store there is some kind of Philadelphia reunion," Heck said. "It's been great, because we've got a lot of regular customers that we know by name." If even eating a cheesesteak inside of a pretzel isn't sufficiently Philadelphian for your taste buds, however, you don't have to look far to add to it: I'm pretty sure there's a Rita's Water Ice in the same plaza. 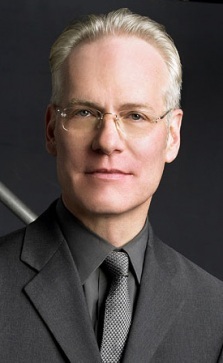 This event was announced months ago, but I feel duty-bound to provide a reminder that wry, wise and ever-tasteful "Project Runway" guru and co-host Tim Gunn will be visiting SouthPark mall on Saturday for a spring fashion show and meet 'n' greet. The event starts at 1 p.m. at Center Court. Previously chair of fashion design at Parsons The New School for Design in New York, Gunn has served since 2007 as the chief creative officer for Liz Claiborne Inc. The company is sponsoring Saturday's proceedings, which will feature several of its brands, including Juicy Couture, Kate Spade and Lucky Brand Jeans. Says a news release: "Guests will enjoy live style transformations, get invaluable fit and style tips and learn how to maximize their wardrobe!" Reserved seating for the event is full, but standing room will be available. In addition, anyone who spends $125 or more at Juicy, Kate Spade and/or Lucky Brand stores this week will receive a complimentary gift and be professionally photographed with Gunn on the runway, whether or not they have a seat, according to the mall. Bi-Lo is out of bankruptcy. Now what? Supermarket chain Bi-Lo announced Wednesday that it had officially exited bankruptcy, about 13 months after seeking protection. While in Chapter 11, the chain shed debts and unprofitable leases, and it also renegotiated an important supplier contract. But now that the court process is complete, the company's future depends on its ability to win over shoppers, some of whom have drifted away. The region's no. 4 grocery chain by sales occupies a precarious place in the market, because it strives to compete on quality and price, pitching itself as the best of both worlds, a middle ground between supercenters such as Walmart and more elaborate stores like Harris Teeter. It tries to sum that up in its current advertising slogan, "Savings without sacrifice." In the years leading up to the bankruptcy filing, the company's strategy appeared to be flagging, and sales dropped. In the past year or so, though, Bi-Lo has refocused its efforts, closing laggard locations, including several locally, and broadening the rollout of promotions such as Fuelperks, which provides a gas discount for shoppers who spend over a certain amount. Losses have narrowed, and sales at surviving stores have generally improved, if not necessarily back to the levels seen five years ago. But Bi-Lo is by no means out of the woods. Never a market leader in Charlotte, the chain has also been facing a stiff challenge from Publix in its hometown of Greenville, S.C. So I'm wondering: If you don't now shop at Bi-Lo, what would it take to get you to go there? Are its locations a problem? Price? Atmosphere? If you are a Bi-Lo shopper, why, and what else - if anything - would you like to see at stores? I'm hoping to talk with the company to get a sense of what awaits post-bankruptcy and would be interested in hearing your thoughts, too. Several small retailers are setting up shop in Myers Park, notably at the new Tranquil Court on Selwyn. The mixed-use development on, yes, Selwyn Avenue has already landed Clean Catch Fish Market and a branch of Mellow Mushroom pizzeria, which is making its return to Charlotte after a few years' absence. Next up for the center: Metro Fitness, a 7,847-square-foot, "urban, upscale fitness center" offering small group classes as well as personal training. Slated to open in mid-August, the gym says it will have cardio and weight equipment, a smoothie bar and classes such as spinning and kettlebell. In addition, Salon P, a full-service hair salon focused on sustainable products and practices, will be moving to Tranquil Court from across the street in mid-June, occupying 1,253 square feet. Also, Old Dog Clothing plans to move from Phillips Place to reopen in August at 569 square feet at the Villa, a two-story retrofitted home at 715 Providence Road anchored by Acquisitions. Old Dog sells custom clothing for men and women, as well as custom leather and upholstered furniture for individuals and businesses. 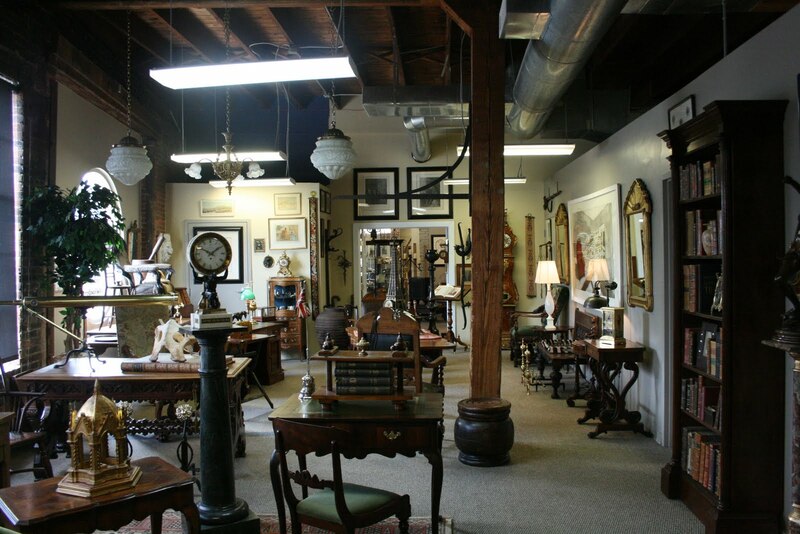 Two other businesses have recently opened in the neighborhood: Rococo Antiques and Interiors is open in 1,300 square feet at Colony Shops, next to Tranquil Court on Selwyn Avenue, offering interior design and an assortment of antiques, artwork, chandeliers and accessories. And Pure Barre, a total-body workout using yoga, ballet and pilates, has opened its first N.C. location at 2,104 square feet at the Manor Shops, in the plaza with the Manor Theater and Panera Bread on Providence Road. "The chain's Swedish parent company, H&M Hennes & Mauritz AB, isn't sure how to sell clothes in cities that are always warm...It wasn't until 2006, when the brand had around a hundred stores in the country, that the company finally entered the Los Angeles area, its first foray into a U.S. city with year-around sunshine. H&M now has nearly 200 stores in the U.S. But they are noticeably absent in areas that seem ripe for its colorful tank tops and floral dresses. Austin, Houston and Dallas are bare, as are Salt Lake City and New Orleans. The states of New Mexico, Mississippi, Alabama and South Carolina also lack an H&M, while Indiana boasts three. In the few warm weather climates where H&M has ventured, its penetration is minimal. It only recently opened in Florida, in Orlando, and won't land in South Florida until this fall. It has only two stores in Las Vegas." This seems a somewhat strange explanation to me, as H&M has stores in both the Middle East and the warm, Mediterranean regions of Europe. But even if that does hold true, it still doesn't entirely explain the lack of a Charlotte store - after all, we have four seasons here, and H&M opened a location in Raleigh earlier this year. The company also has stores in Richmond and Atlanta, neither of which is known for its frigid climate. If you've never been to an H&M, you might be wondering what the big deal is anyway. But there really isn't an equivalent local option to the chain's stylish, affordable basics and trendier pieces - and when I say "affordable," I mean, at truly recession-friendly prices. Even when the featured styles aren't quite up your alley - a lot of the floral tops and dresses I spotted there during a recent trip to New York brought on unpleasant flashbacks to the early 1990s - the variety changes quickly enough that if you don't find something that interests you on one visit, chances are that will change by the next time you stop in. Though I've never conducted a scientific poll (or, heck, an unscientific one), I'd bet the chain tops the list of stores that people would like to see come to Charlotte - and that that scenario would repeat itself in other H&M-free cities across the South. Compounding the frustration: You can't buy the company's clothes online in the U.S., either. In the five-plus years I've lived here, Charlotte has been able to check some big names off its retail wish list: Trader Joe's, Crate & Barrel, Neiman Marcus and Ikea. Even Whole Foods and Saks Fifth Avenue, which have pulled back on plans to open in Charlotte, at least at one point announced their desire to have a local presence (although with Saks, it's perhaps a good thing it didn't happen, because the company is now shutting underperforming stores in the recession). But H&M, which opened its first U.S. store in New York 10 years ago, has continued to hold out. Though I'm pretty sure it will arrive eventually, for a lot of local shoppers, it can't come soon enough. 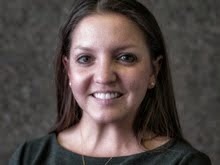 Update: Here's what H&M spokeswoman Nicole Christie had to say today about prospects for a Charlotte store: "We don't have anything to announce yet, but we definitely believe in Charlotte as a very strong retail market and having great potential for our stores." The chain has received plenty of feedback urging a local store and is "by no means neglecting the market," she said, but will hold off until it can find the right space. "We're really secure that when we come to Charlotte, we're going to be well-received," Christie said. "But our priority is finding the right location. We know we have the customer base there." O ye in appliance purgatory, the suspense is over: There will indeed be a second installment of North Carolina's federally-funded "Cash for Appliances" rebates - a mail-in program starting June 1, with a wider range of eligible appliances. The initial phase ran from April 22 to 25 and offered an instant 15 percent rebate on Energy Star-rated dishwashers, washing machines, refrigerators and freezers. That go-round consumed most of the money allotted for the program, about $7 million, with 54,400 appliances sold. The remaining $1 million will fund the second phase, which involves mail-in rebates for set dollar amounts. Air conditioning systems, gas furnaces, heat pumps and water heaters are covered this time around, as are the appliances involved in the first rebates. However, the discounts on items that were already part of the program will probably work out to be smaller for most consumers than those offered in April, because of the fixed amount - $100 on a washing machine, for instance - compared with with 15 percent off. As with the earlier appliance rebates, the upcoming discounts are available on a first-come, first-serve basis, and only N.C. residents replacing older appliances can apply. Unlike the last round of rebates, the upcoming rebates are not instant, but available via mail. Starting June 1, consumers can go online and reserve a rebate following a qualifying appliance purchase. They then have 14 days to send it in, and it should be fulfilled within two weeks of receipt. Consumers can visit a regularly updated spending total to keep track of the amount of money remaining. Details: Energync.net. The region's already-shrinking roster of video rental outlets is poised to decline even further: The remaining Movie Gallery and Hollywood Video stores are set to close within the next few months. We last went to the videotape on this subject (er, so to speak) in February, when the chains' parent company, Oregon-based Movie Gallery, filed for bankruptcy and announced plans to close half of its 2,145 U.S. stores. At the time, the company - the nation's second-largest video chain - said it wanted to reorganize and emerge with a smaller base of profitable locations. But the chances of that succeeding seemed questionable at best even then, given the intense competition bricks-and-mortar video stores are facing from the likes of Netflix, Redbox and various streaming services. Indeed, Blockbuster, the nation's largest video chain, is itself wrestling with debt and trying to right its financial ship and broaden its business model. For Movie Gallery, however, it appears the tape has finally run out (ok, yes, I realize they focus on DVDs now, but, work with me on the metaphors here), according to a report in the Wall Street Journal. At the time of the bankruptcy filing, the company had 22 Movie Gallery and Hollywood Video locations in the Charlotte area, already down from its peak several years ago. Now, only 10 are listed on the company’s website - in Stanley, Dallas, Kannapolis, Kings Mountain, Lincolnton, China Grove, Locust, Maiden, Rockwell and Clover, S.C. Stores contacted Monday said they were closing, but weren’t sure of the exact timeline. Movie Gallery was also in bankruptcy in 2007-08 and shut hundreds of stores then. Closed-toe shoes need not apply at a new store aiming for its first Charlotte location this summer, with another to follow in the fall: Flip Flop Shops, an Atlanta-based chain where, unsurprisingly, flip flops are the focus. Local couple Jeff and Pam Burrus plan to open one at Carolina Place mall in Pineville on July 1 - on the second level, near American Eagle - and say they're scouting sites across south Charlotte for a second location they hope to open in October or November. Flip Flop Shops, which has 14 locations thus far and 40 more in the works, says it's the country's first retail chain devoted specifically to the summery shoes. It sells leading sandal brands such as Reef, Sanuk, Flojos, Vans, Havaianas, Olukai, Rainbow, Cobian and O'Neill in a laid-back, beach-themed setting, with prices ranging from $20 to more than $100. "Once reserved only for poolside or beachwear, flip flops have grown to become the global youth uniform, as well as accepted footwear for anyone ranging from surfers to high-level corporate executives," the company says in a news release, although I am quite sure that the latter assertion would be news to my boss, and those of plenty of other companies. The Burruses have lived in Charlotte for 18 years, said Pam Burrus, who worked in banking before having her first child 10 years ago. Jeff Burrus was previously in the mortgage business, spending 14 years at the same company before it went out of business in February 2009. Instead of looking for another mortgage-related job, Pam said, he decided to do something on his own, and the couple began researching franchises. They kept coming back to the flip flop store, as they liked the concept and one-stop shopping aspect. They're planning to provide a relaxed experience and good customer service, Pam said. A gourmet butcher shop chain has opened its first Charlotte location in the Village at Robinson Farm, a food-oriented, farm-themed shopping center that opened last year at Rea Road and Williams Pond Lane, near Blakeney and Stonecrest. The Meat House sells premium beef, poultry, veal, lamb and pork, Boar's Head deli products, proprietary marinades, cheeses, fresh produce, bread, side dishes, desserts and pastries, and other gourmet foods, in a format intended to evoke a neighborhood butcher shop. It also sells more than 100 varieties of wine. The owner of the Charlotte store is Virginia Meehan, though the chain was founded in New Hampshire in 2003 by a pair of best friends. The company has expanded in the last two months with locations in six states - Maine, Massachusetts, New Hampshire, New York, North Carolina and California - with plans for further growth in the months to come. Its first N.C. shop opened in Cary in January. The Meat House arrives a few months before another upscale specialty food shop is set to join the south Charlotte scene - Clean Catch Fish Market, scheduled to open in midsummer in the Tranquil Court mixed-use development on Selwyn Avenue in Myers Park. That store will specialize in responsibly fished and caught seafood, with what it says will be greater variety than supermarkets offer. It's aiming to offer weekly tasting demonstrations and classes on how to prepare, cook and pair wine with seafood, and will also sell prepared seafood items, wine, beer and organic produce. As Eastland Mall twisted in the wind over the last decade or so, it became increasingly clear that its days were numbered - with the only question when, not if, it would shut for good. But with the news last week that the mall is, indeed, slated to shut down at the end of June, a couple of colleagues and I decided to stop by for lunch on Friday, not as reporters, but just as customers, to see it while we still could. Contrary to the negative perceptions that have damaged the mall's image, our trip wasn't unsafe or sketchy - just really sad. Even on the way over, it was impossible to escape what had been and was no more - even the Red Lobster on nearby Albemarle Road, which had been open as recently as a few months ago, was boarded-up and closed. At the mall itself, the reminders persisted, down to the curiously unchanged '70s-style "Eastland" signs over the main entrances, showing that leaf-sun logo with the puffed-out cheeks blowing what must surely be a blast of bitter air at this point. The former Firestone car care center in the parking lot, on Central Avenue, was also closed. Inside, the scene is arguably stranger, because the mall has been fairly tidily kept and still maintains all the familiar visual cues of a decent early-'90s mall, just with few shoppers and few of the stores you'd expect to find in such a setting. There are the shiny, neutral-colored marble floors, the neatly potted plants flanking stairways, the light flooding in from skylights, the greenery lining the balcony overlooks, all a bit of a time capsule, and not a decrepit one. A Charlotte native in our group could point to vacant storefronts and tell us what they used to be - Morrison Cafeteria, Hibbett Sports, Express, Sears, Dillard's, the Children's Place, New York & Co. (though through a window, wallpaper showing the Manhattan skyline was still visible), Chick-fil-A, Showmars. Even the off-brand Cinnabon-type place had departed. The old ice rink is now covered in a blue surface marked for soccer. Stores like Shoe Show and Champs Sports appeared to have left more recently, while Foot Locker, Lady Foot Locker and FootAction USA were still open, among the few national-chain holdouts, along with Kay Jewelers. The retailers remaining were primarily jewelry and sneaker shops, though there were also a couple selling home decor and streetwear, and a nicer men's shop. The former Belk end of the mall is particularly empty, because it lost its anchor in 2007, earlier than the other sides of the mall. On Friday, nothing seemed to be in business at that end, on either level. We stood there for a minute, listening to the elevator music that rang through the quiet corridors, the cheery, wordless sax tunes striking an ironically mournful tone. "Looking to grow your business?" asked colorful signs affixed to the boarded-off Belk entrances, on both floors. "Plant yourself here." Back at the food court, about five restaurants were still in business, at least nominally: A bourbon chicken place, a teryiaki place, a pizzeria, an ice cream shop and a Charley's Steakery. I'd really wanted a cheesesteak, and it was clear the steak shop wasn't permanently gone: The lights were on, the cash register was on, the soda machines were on and signs promoting sandwiches were standing by the counter. But there was no one behind the counter, and no sign that any food had been prepared there that day. I waited a few minutes, hoping the proprietor would show up, but nothing changed. So I asked the man behind the pizza counter: "Is the cheesesteak place open?" No, he said, he's gone today. As it transpired, the pizza place and cheesesteak place are not open on the same days anymore, the pizza owner said, because if they were both open at the same time, neither would make money. So instead, they alternate - when the pizza place is open, the steakery isn't, and vice versa, with the owners using their days off to search for new digs. Why, I asked the pizza shop man, had he stayed at Eastland, given the upheaval? Because, he said, until eight months ago, he'd been making money - and had a lease obligating him to remain. The rent was reasonable; though the pizzeria could have done more business in a storefront on Central Avenue in Plaza Midwood, the man said, the more expensive rent in a location like that would have negated the benefits. Now, tenants are freed from their leases, so he's looking for a new home. Our choices thus constrained, we opted for pizza - a greasy pepperoni slice for me - and sat down at the edge of the food court, looking out at the center court. A few other, scattered tables were occupied. As we ate, a man at a jewelry store across the way brought out a sign and put it up: "Everything must go - SALE - mall closing." As we walked out, we passed the recently shuttered Burlington Shoes, where boxes were stacked inside and the gate pulled down over the door. An old Nike poster display rack stood outside, with a handwritten sign reading "FREE" taped to it. On the door frame, another handwritten sign helpfully noted, "Store is closed." Through it all, I kept wondering about the mall's decline and how it happened. Obviously, that kind of slide doesn't happen overnight, but it's interesting to consider that as recently as four or five years ago, Eastland was still pretty much fully occupied, with Belk, Dillard's and Sears still in business and other national chains still there, and the ice rink still open. But then, the situation seemed to shift rapidly - hastened, no doubt, by the opening of Northlake mall in 2005, a 2005 Christmas-season shooting near the food court and the departure of anchors such as Belk. For people whose Eastland memories stretch back farther, the contrast is probably even starker and more painful. Though Eastland doesn't have the retail choices it once did - the biggest thing for sale there now is likely the mall itself, which is set to be auctioned at the Mecklenburg Courthouse on June 28 - you, too, might want to pay it a visit in its waning months. Though it might be easier to file it under "out of sight, out of mind," seeing retail decay firsthand can help you better understand what it means for our landscape, and how it ties into the well-being of an entire swath of town. But if that sounds like too much of a college lecture, approach it instead as a one-of-a-kind field trip to a fascinating 20th-century relic. Yes, it's our very own dead mall, here for a limited time only - and if we're lucky, we won't have another one to contend with for a long time, or ever. North Carolina's "cash for appliances" rebate program concluded yesterday with most of its money depleted - about $7 million of the roughly $8 million in federal stimulus funds set aside for the instant 15 percent discounts on Energy Star refrigerators, freezers, washing machines and dishwashers. Thanks in part to a real-time computerized tally tracking rebate dollars spent, the program appeared to run smoothly, without any Cash For Clunkers-style confusion about how much money remained. And it helped retailers sell likely hundreds or thousands more major appliances than they otherwise would have in late April: Statewide, the rebates were used on purchases of 15,621 washing machines, 15,102 dishwashers, 2,234 freezers and 21,471 refrigerators, for a total of about 54,400 appliances. It's unclear whether there's enough money left to launch a second phase of rebates in June, as had been the state's plan if funds remained: The N.C. Energy Office said in a press release that it's reviewing and accounting for the money spent this weekend before making a determination. If the second phase takes place, it would offer mail-in rebates on selected water heaters, central air conditioners, heat pumps and gas furnaces, at least according to the state's earlier plan. Those discounts would be redeemable with retailers, contractors and programs offered through utilities. Also on the Earth Day front, Matthews-based grocer Harris Teeter is kicking off a new program designed to reward shoppers for recycling electronics. People wishing to dispose of old music players, computers, cell phones, video game systems, cameras, GPS units, flat-panel monitors and selected other electronics can visit this website, key in details of the product they're hoping to recycle and then find out how much their donation is worth. (It may not be much, depending on the product, but then, even a few bucks can help make a dent in a grocery bill.) They can then opt to receive payment in the form of a Harris Teeter gift card or donation to the school of their choice. The company will also provide a prepaid shipping label and voucher for mailing in the old items. The site, in conjunction with the awesomely and appropriately named MyBoneYard.com, also allows people to order collection materials for a one-time electronics recycling event or start a recycling fundraising program to benefit local schools, the company says. Just in time for Earth Day - which, yes, is today - Asheville-based specialty grocer Earth Fare is eliminating plastic grocery bags at all 17 of its locations, including those in Ballantyne, SouthPark and Rock Hill. The chain has long made a 5-cent donation to local nonprofits for each reusable bag used in a shopping trip, but customers without reusable bags will still have options: The chain will continue to offer recyclable paper bags and grocery boxes, it said in a news release (although if anyone can tell me what a grocery box is, I'd be interested in knowing).The aim, unsurprisingly, is to be more eco-friendly and reduce the amount of plastic clogging landfills, oceans and roads. Though fairly unusual for a Carolinas company, there's plenty of precedent for Earth Fare's move: Retailing giants Whole Foods (which still, alas, does not have a Charlotte location) and Ikea don't provide plastic bags for their customers, either. Ikea goes a step further and requires customers to use a reusable bag, if they're using one at all - I definitely once left the University City store with an armful of goods, having forgotten my reusable tote. Trader Joe's also generally steers clear of plastic bags. At 122 years old, Belk Inc. has been around a lot longer than your average Twitterholic (Twitterhead? Is this an actual term? I know not) or Facebook super-poster - but then, adapting with the times has helped the company endure in the first place. And it's with that in mind the Charlotte-based chain has launched a Twitter feed and Facebook fan page to further connect with customers, and broaden interest in the company further beyond store walls - trying a strategy that a huge range of retailers are trying across the digital landscape. "Social media is an essential component of a company's communications arsenal today," Ivy Chin, Belk's senior vice president of e-commerce, said in a news release. "By forging an exchange of real-time information, we will be able to share our story and create consumer relationships that provide valuable feedback and information." The Facebook page will provide information on fashion trends, product launches, sales and special events, with interactive features such as product surveys and commentary from Arlene Goldstein, vice president and fashion director. Goldstein is also the personality and force behind the Twitter feed, which features trendspotting tips and other observations. And, because we're talking retail here, the company is offering incentive for folks to sign up: Those that become a Facebook fan of Belk will receive a discount coupon. Now that the smoke has cleared, so to speak, men's clothier Bruce Julian has reopened - and is celebrating with a grand opening party from 6 to 9 p.m. today. The Arboretum store suffered extensive smoke damage and was forced to close after a Dec. 19 fire that destroyed Avanti, the Italian restaurant next door. At the time, the restaurant said it also planned to reopen eventually, but its current status was unclear today, as its phone is disconnected and its Web site was not working. Julian, meanwhile, has spent the months since the fire refurbishing and restocking his business, which sells fine men's clothes, accessories and offers custom-made items, too. The fire doesn't seem to have dented Julian's characteristic ebullience, either, at least if this quote from a news release is any indication: "I've always known the fashion at my Arboretum store was hot," he said, "but last December's fire was too much." Cue rim shot! Walmart's expansion in the Charlotte area marches on - as passers-by have seen firsthand on U.S. 521 in Indian Land, S.C., just over the state line, south of Ballantyne. The new supercenter going up there is slated for an August grand opening, the company says, for inquiring minds who might wish to know. But the world's largest retailer isn't standing pat on its existing locations, either, some of which have begun to look more dated on the inside compared with newer layouts. At least two local supercenters are now undergoing major overhauls, and others are likely to follow, as part of a nationwide renovation effort slated to hit 70 percent of the company's U.S. stores by the end of 2012. The effort is intended to boost returns at existing stores by introducing the latest store designs, which are based on customer feedback. Work is now in progress at the Mountain Island Walmart, at N.C. 16 and Mount Holly-Huntersville Road in Charlotte, and the West Gastonia location on N. Myrtle School Road. At Mountain Island, the work is expected to wrap up in June, while the Gastonia store is aiming for a May finish. The stores are remaining open during construction, the bulk of which will be done in overnight hours. Improvements include a new layout, wider aisles, low-profile shelving, bright interior paint schemes, enhanced lighting and easy-to-read signage - the very things you'll also see in the newest Walmarts locally, such as the store on Thunder Road near Concord Mills. Two retailers are planning to open their first N.C. stores at Concord Mills this summer, according to the mall: VF Outlet and Zumiez. VF, in the 23,000-square-foot former A.C. Moore space, will anchor Neighborhood Five, selling jeans, intimate apparel, sportswear, swimwear, outdoor goods and children’s clothing from names such as Nautica, Lee, Wrangler and Vanity Fair. Zumiez, a teen-oriented skate and surf store along the lines of Pacific Sunwear, will occupy a 4,000-square-foot space in Neighborhood Two. Asheville-based Rug & Home is fond of interstate highways. How fond? If you've driven along I-85 or I-4o in recent memory, you've surely seen the retailer's billboards, touting its stores and, naturally, the highway exits - in Asheville and Gaffney, S.C. - at which you can find them. 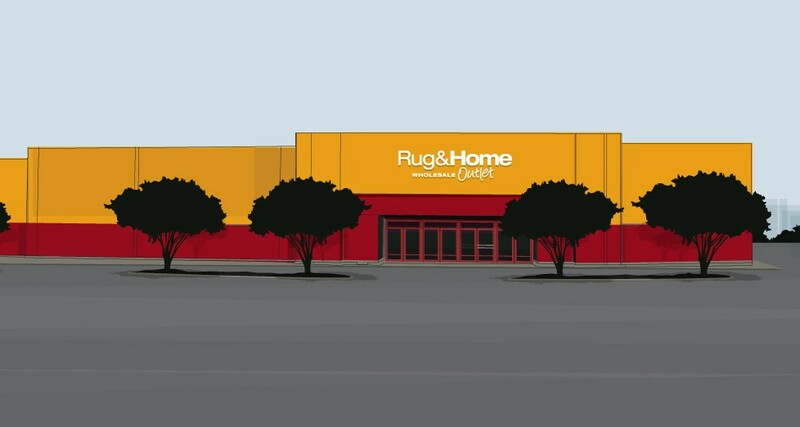 Now, Charlotte residents can expect to see even more roadside ads popping up, because Rug & Home this month is opening its third store, in a former Target in Kannapolis. It's at 3333 Cloverleaf Parkway - in other words, and as signs will surely blare, I-85 exit 58. Rug & Home Wholesale Outlet, as it'll be called, is set to sell rugs, furniture, accents, artwork and home accessories and decor. At 96,000 square feet, it will be the company's largest store; Target vacated the property when it opened a new SuperTarget at Afton Ridge shopping center, a couple of exits south on I-85, in the fall of 2006. The store will employ between 45 and 50 part- and full-time workers and is slated to open soon, though a spokeswoman said the date was not yet finalized. A grand opening will take place April 23. Rug & Home spent upwards of $500,000 renovating the building, with work that included lighting redesign, the addition of hardwood floors in some areas and painting and restoring the facade, chief operating officer Aanchal Agarwal said in a news release. "We were looking at the Charlotte market for a long time," she said. "Kannapolis' close distance to Charlotte's city center and Greensboro, along with the opportunity it presented us to renovate and occupy the abandoned Target building, proved the perfect fit for us." The project received three years of incentive grants from the city of Kannapolis, according to the Cabarrus Economic Development Corp. They equal 85 percent of the new taxes generated by the company, projected to be just over $9,000. Owners Rakesh and Dolly Agarwal, Aanchal's parents, founded Rug & Home in 1994. The other stores draw from about a 100-mile radius, the company said. Several familiar apparel brands will be branching out in Charlotte in the coming months, opening new standalone stores at SouthPark mall. Though their products are already available at specialty and department stores across the area, companies can gain more control over the customer and brand experience - and, they hope, boost sales - by opening stores exclusively devoted to their products. Will the new arrivals catch on here? As always, consumers will be the judge of that, starting this month. First to open will likely be high-end denim maker 7 For All Mankind, which plans to debut sometime this month in the former Intermix space, in the Nordstrom wing. Already available at stores such as Belk, the Los Angeles-based brand is best known for its detailed and distressed jeans, priced at about $150 and up for women's styles. However, it also makes a broader array of clothing, including tops and sweaters, and the store - its first in the Carolinas - will sell denim, sportswear and handbags for men, women and children. The decade-old company is expanding its retail presence nationally, with about 20 stores already and about 10 more projected to open this year. Casual and athletic shoe purveyor Skechers also plans to open a store later this month, in the former Illuminations space in the Macy's wing. It will sell styles for men, women and kids. The company already has an outlet at Concord Mills. By early summer, longtime shoemaker Rockport should follow suit, with a shop in the former Club Libby Lu, also in the Macy's wing. The store will be the company's first in the Charlotte area, as well as the first in the state that uses a new concept, according to a news release: 90 percent of the store's inventory will be on the sales floor. Finally, in a move that relates to clothing only in that it will likely make it more difficult for people to even squeeze into those pricey Seven jeans in the first place, Rocky Mountain Chocolate Factory is scheduled to open this summer in the former Lindt Chocolate space next to Aveda, at the mall's center court. 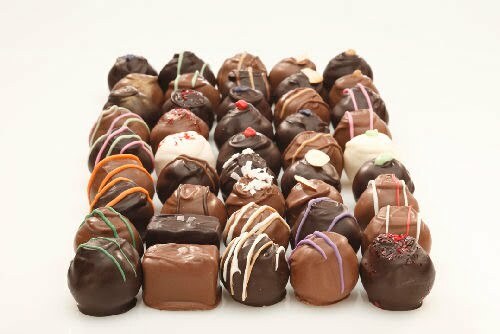 Like the Rocky Mountain stores at Northlake Mall, Concord Mills and Charlotte Douglas Airport, it'll sell chocolate and other confectionery products. Employees will prepare a variety of caramel and candy apples, fudge, chocolate and other items on-site and in view of customers, using traditional cooking implements like copper kettles. A couple of other additions are also shaking up the mall's food scene, as my colleague Helen Schwab has previously reported: Cowfish is aiming for a "wild and weird" burger bar-sushi fusion, while San Antonio's Modern Mexican will move into the former Morton's steakhouse.